Bloggiesta is a blogging marathon revolving around ticking off those items on your to-do list and improving your blog while in the good company of other awesome bloggers doing the same thing. The mojito actually happened and who the hell cares it it's a wrong country? My simple list got some love, but probably not enough. I swear, it was the mojitos doing most of the work. Update my Book Map with old and recent reads. - nothing to see here folks. 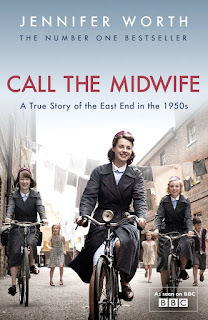 My review of Call the Midwife - go watch it on Netflix! My lukewarm review of a favourite author. Et voila! That's was it. Not much but a little goes a long way! How did your Bloggiesta go?